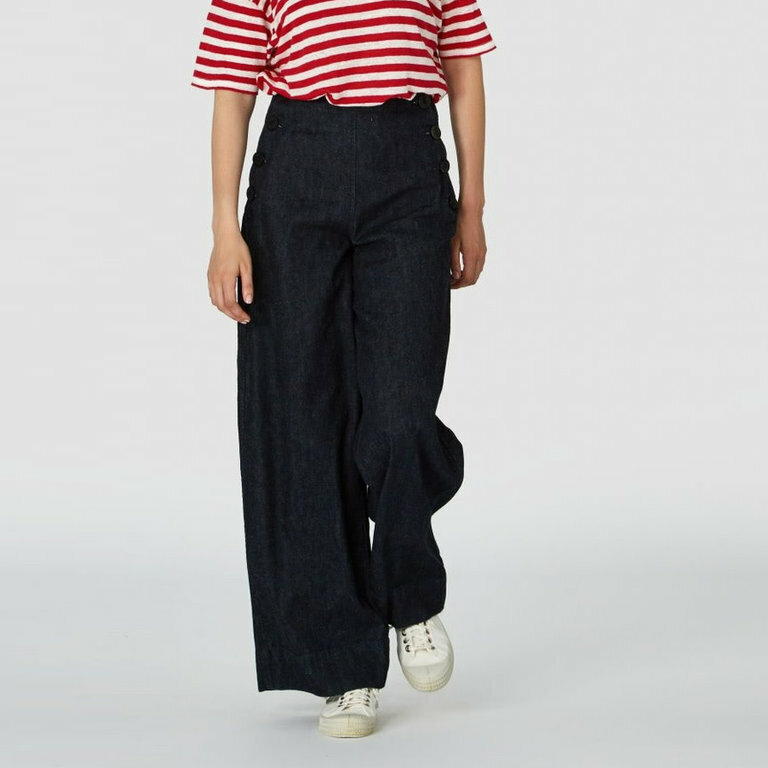 The Fallon Pants by Kings of Indigo combines style and comfort perfectly. 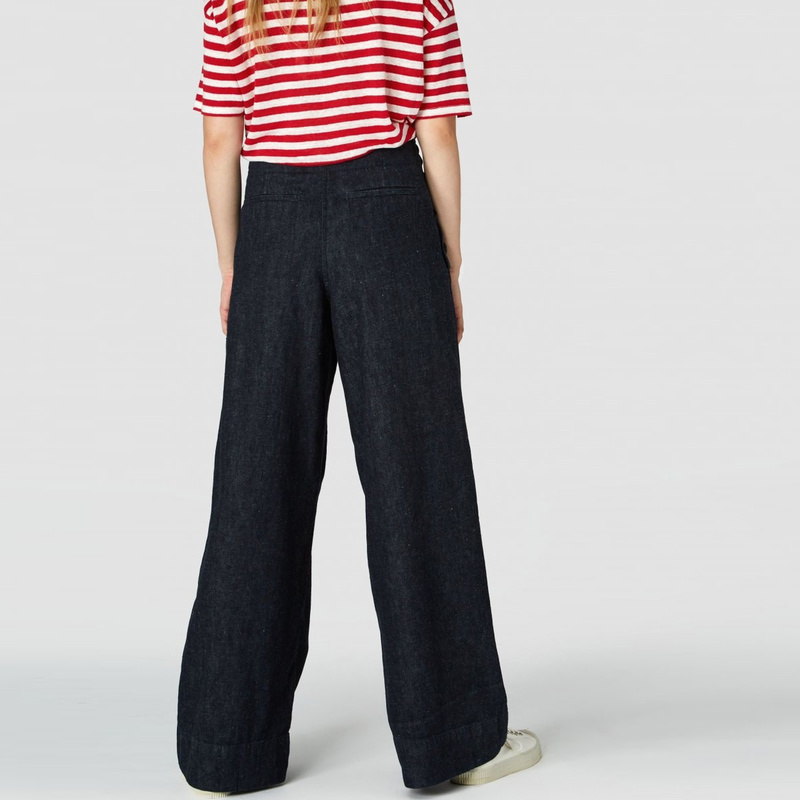 A sailor style pant; Fallon is a high waisted, wide leg pant. 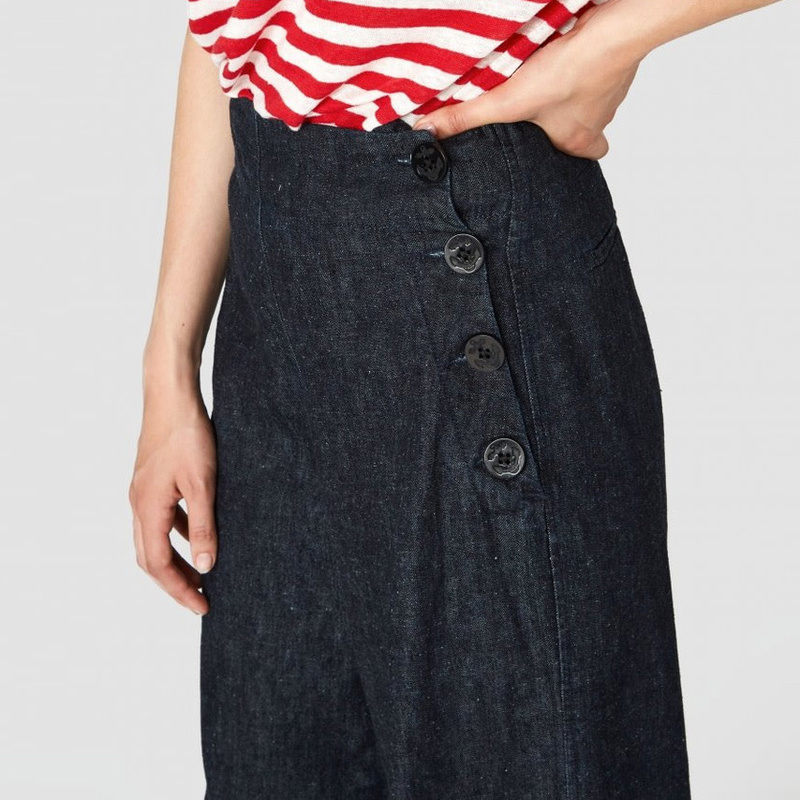 The fit around the waist is snug, accentuating a feminine shape, before falling into a wide leg. 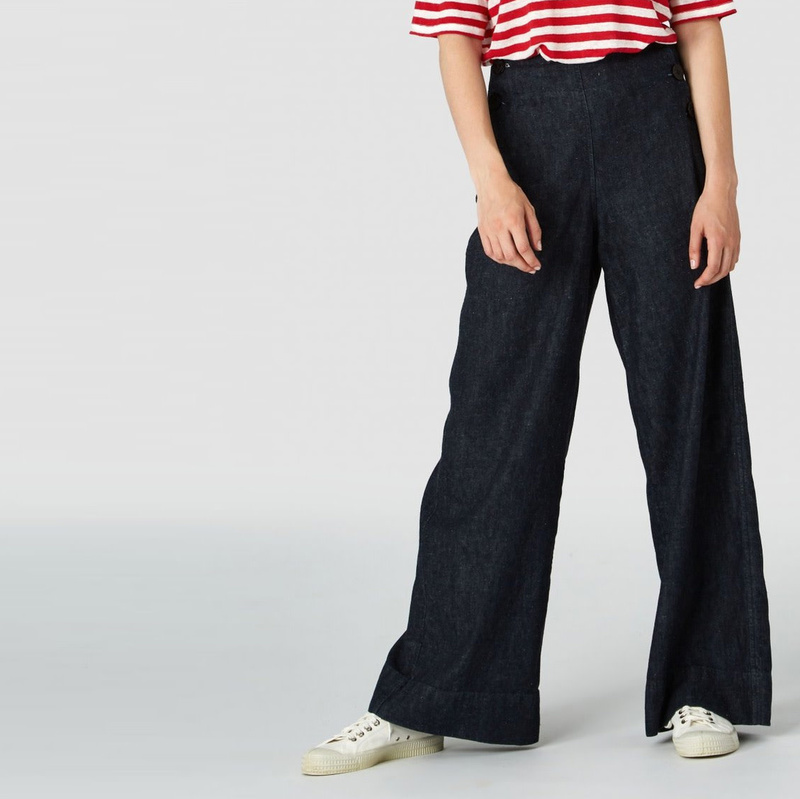 The pants has a button closure and features two front pockets and two back pockets.